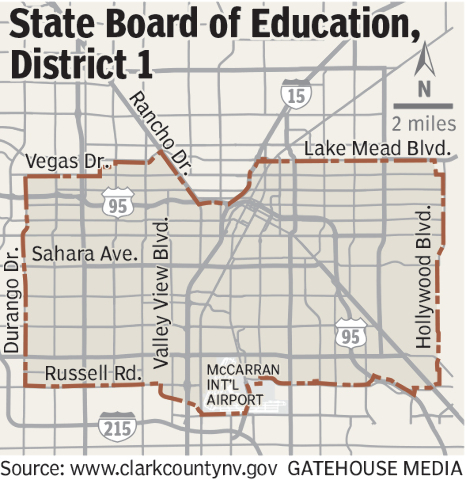 One candidate seeking the District 1 seat on the State Board of Education would like to see the Clark County School District split into 356 systems, another thinks any breakup would be a bad idea, and a third says it’s too soon to tell. Tim Hughes said his prior work as a teacher and principal give him a perspective the board needs. “I really have a good understanding of how policies impact each player in the system,” he said, adding that good policies can fall flat if they don’t consider the people implementing them. He generally supports Common Core’s rigorous academic standards and said the key to their success is helping teachers apply them. Hughes wants to “modernize” teacher licensing so it doesn’t work against out-of-state educators. He’d like to streamline the process and limit the number of hoops they need to jump through to become eligible to teach in Nevada. He said it would be premature to discuss the specifics of the district shake-up — which was mandated by the state Legislature — because the district is still learning about students’ needs and how those needs can be met under different models. The key to retaining fully licensed teachers is to continue annual teacher performance evaluations and regularly review the qualifications they measure, he said. He doesn’t favor breaking up the school district because funds would go toward new administration rather than to students. He is looking for a way that the school district can earmark more money for low-income schools. Addressing Nevada’s teacher shortage will require “eliminating the toxic central education bureaucrats and edu corporations” and creating a truly alternative route for teachers to be licensed, he said. If the school district is broken up, Louk said he would like to see it split into 356 independent school systems. Parents, teachers and community members would make all decisions, including budgeting, at their schools. 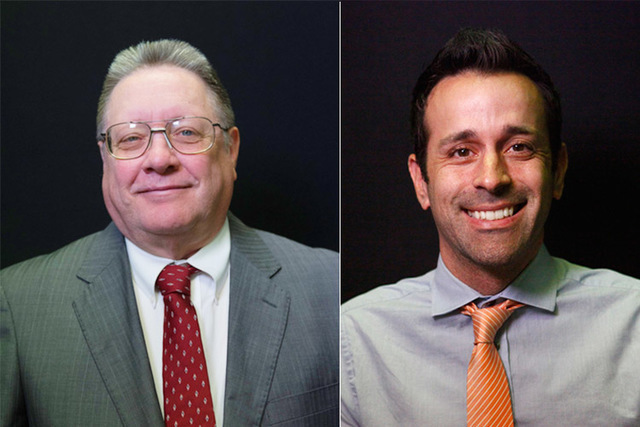 The race for the District 1 seat is nonpartisan, which means if any one of the three candidates wins more than 50 percent of the votes in the primary in June, he wins the position outright.